Somebody recreated some of your favourite Disney Princesses as raptors, and the result is both hilarious, and actually really cute! 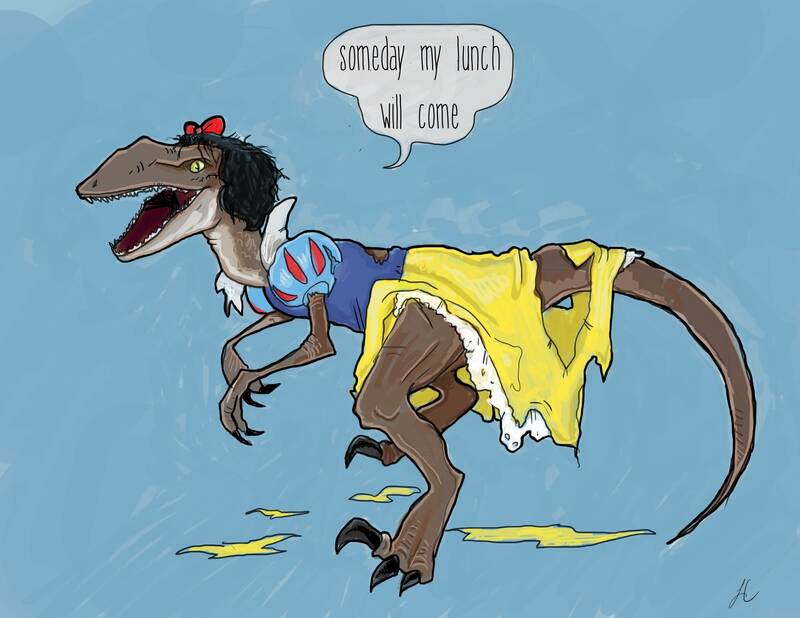 Check out the rest of the Raptor Princesses here. Watching Insidious Chapter 3 in the cinema has reignited my passion for watching horror films. Thankfully there are plenty of them that I have never seen, so I plan to try and watch at least one a week, so if anyone has any suggestions for any I need to watch then please let me know. I have just started a new diet, and am missing some of my favourite things, including Ben and Jerry's Cherry Garcia, my absolute favourite ice cream. I always have some when I go to the cinema, well, I always USED to have some when I went to the cinema. I had a brainwave and decided to google a recipe. Thankfully Chocolate Covered Katie was my saviour and I found a recipe that is only 3 Weight Watchers points per serving! Whilst I was at University I was introduced to a hilarious Australian TV Spoof Show called, Danger 5. I recently found out that the show is now on Netflix, so not only did I introduce Tim to the first season... but I got to see the second season for the first time myself. Let me know what you have been enjoying this week!